Each collector grade action figure is designed with extreme detail and include up to 30 points of articulation in a highly poseable form that fans of the storied franchise will truly appreciate. Each figure includes fully interchangeable, mix-and-match armor suits and 1-2 weapon accessories (varies depending on figure) so you can customize your figure. Build your collection and create epic, larger-than-life Halo battles from the highly-acclaimed franchise from Microsoft Studios and 343 Industries. Each figure also includes an extra build-a-figure piece. 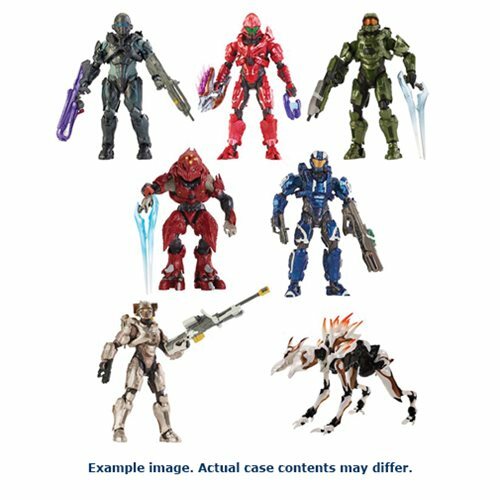 Collect them all to create a complete Forerunner Alpha Crawler figure! Ages 8 and up.